Meeting with clients, I noticed that many misunderstand the meaning of “QC checklist ” in the QC process. this word is often used inaccurately, so what’s the real definition and what does a QC checklist contains? Called the Quality manual, product quality guide, quality control plan, compliance checklist etc. by others, in the QC industry it is simply called QC checklist. 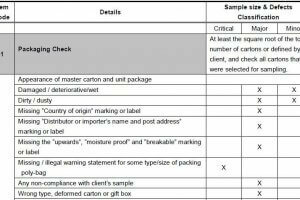 Back to the Checklist: It must be shared with all the parties involved in your manufacturing process (both your vendor, your QC company and your agents) and must be regularly updated according to the situation being faced. It helps your quality control agent understand your requirements, and helps the inspector carry out an effective inspection. Ideally, it would be translated into the local language to reduce even more the risk of misunderstandings with your factory. What should a QC checklist contain then? Everything that would allow anyone to understand your order, your product, your expectations. Do not imagine that your factory or your Quality Control Inspection company will understand your product and your requirements without a detailed and organized QC checklist ! Below are some examples of what should be inside. Expected quantity and delivery date (ETD). Pictures of your products and its previous defects (if you have it) that you rejected. Your product specifications : what the package should contain (1mug, 1 spoon etc..), the size, the weight etc. Packaging (What the package should look like, Each item should be packed in a polybag with a carton this size etc.). The Pantone colors used (see our article). Barcodes : types of barcode, on the packaging and each product (with pictures). Cosmetics of the products: Logo, labeling and marking etc.. Required on-site tests: For example, drop test must be performed by the inspection company for each inspection. Your special requirements: anything additional you may or may not want to see on your products. 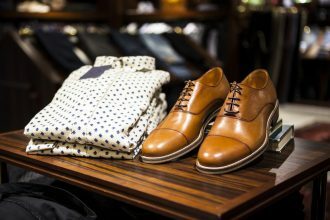 Additionally, beside your product specifications, packing list, etc… your checklist MUST contain your classifications of defects: what do you consider to be a Major, Minor or critical defects (your 3PQC shall be able to advice you in that points, knowing that we usually follow the “official definition of defects and defectives“). This list is not exhaustive, but just remember that you are the one who knows the products best, so share your experienced knowledge! Do not think that anyone will assume some points, however basic or logical they may seem. Last and most important point: remember that not all inspection companies and QC agents will review all your specifications and digest it in order to prepare the protocol for inspection for its inspectors. Several major inspection companies will simply forward your specifications directly to the inspector by email, hoping he will find it easy to digest during the bus ride ! You can see more about how works inspection companies here.